I've done a review and giveaway for TeleNav previously, but this time they've upped the ante and are giving away THREE one-year subscriptions! 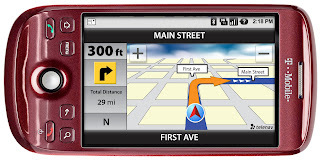 TeleNav GPS Navigator is helpful for anyone who is travelling during this busy Holiday season! Printed maps, expensive in-car navigation systems and the hassle of stopping to ask for directions are all distant memories with the affordable, easy-to-download, and simple to use wireless GPS navigation system from TeleNav called TeleNav GPS Navigator. Accessed directly from wireless feature phones and smartphones, TeleNav GPS Navigator provides voice and onscreen turn-by-turn directions as you drive – just like in-car navigation systems and personal navigation devices (PNDs). 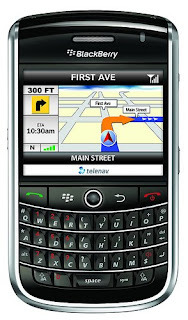 Click here to see all the features of TeleNav GPS Navigator. TeleNav GPS Navigator works on a wide variety of phones. For a full listing, please see the Supported Devices and Carriers page. TeleNav, as I mentioned above, is going to give this service to THREE lucky winners! And it's a year's subscription too so that is awesome! For extra entries, please view my Giveaway Rules, updated 12/2/09. Also don't forget if you put up the Holiday Hoopla button prior to December 1st, to leave your THREE comments saying that you put the button up early! Fine print: This giveaway will end at midnight EST on December 31st, 2009. Winners will be contacted via email and announced here at A Simple Kinda Life. Winners will have 48 hours to respond to my email or will forfeit their prize(s). Disclaimer: I am in no way being compensated for hosting this giveaway on my blog. I personally have not tried this service. This is awesome!! I love the fact that you can avoid traffic jams with real-time traffic alerts! I like that it works on my cell phone. Not having to have a separate device makes it a lot easier.